There several ways to create a symlink on our Shared Cpanel servers. 2. You can also create a symlink using the PHP function. 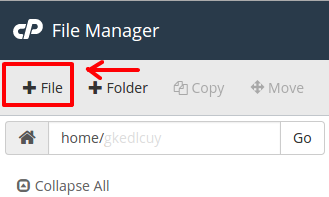 - To do that login via the File Manager and click on File. - Name your php-script (example: symlink.php) and click Create New File. - Right-click on the file and choose Edit. NOTE: $target and $shorcut are variable that you need to change as per your requirements. 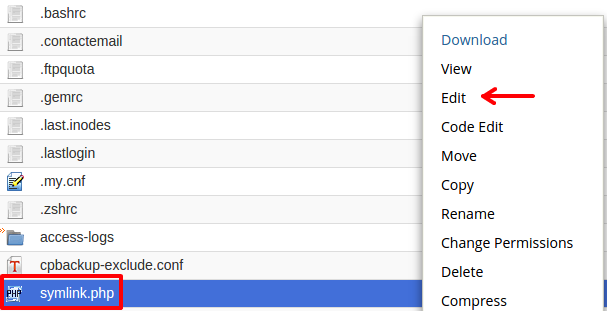 - Click Save Changes and run this PHP file in the browser and it will create symlink right away.